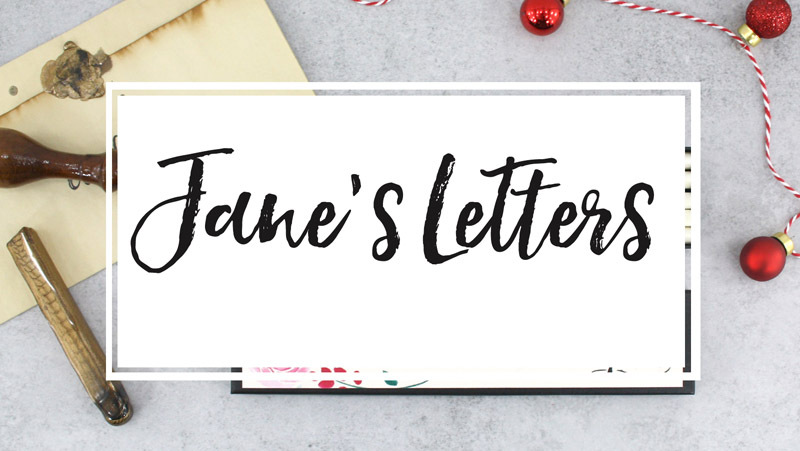 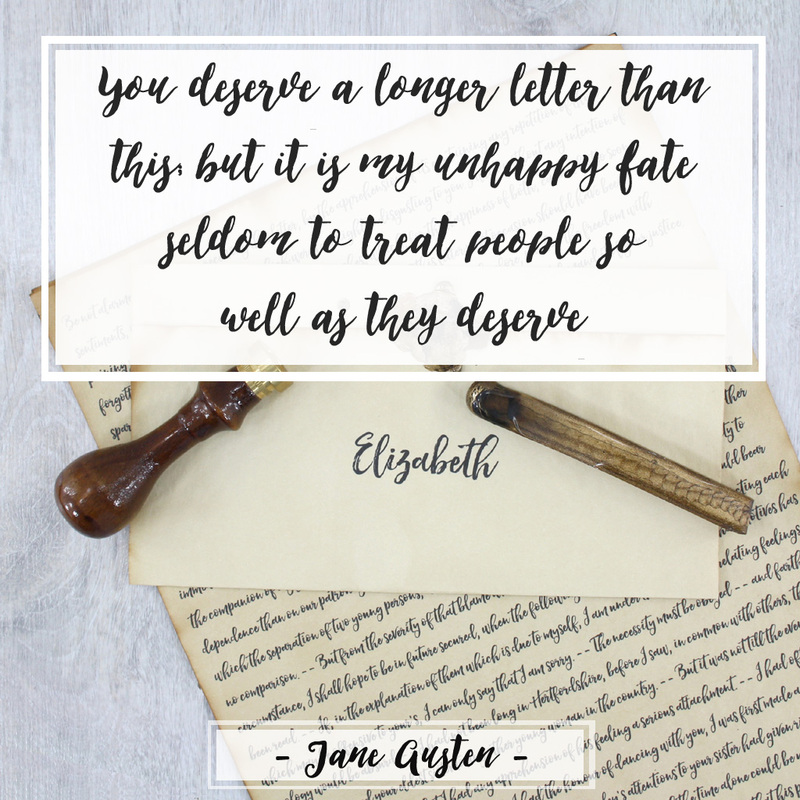 Jane Austen was a prolific letter writer, devastatingly for us, her family with no foresight to the future fame of their sister, burned a large part of her letters. 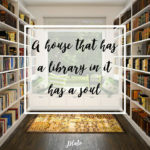 So much history lost. 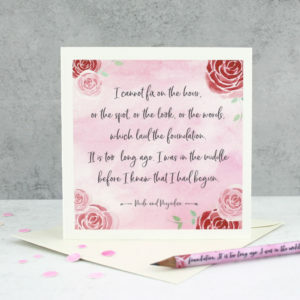 But still, such is the love of Austen that over the centuries all the small pieces of her life that we have to hand have been painstakingly recorded and celebrated. 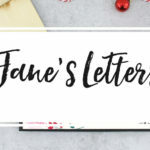 A few months ago I started reading more about her letters. 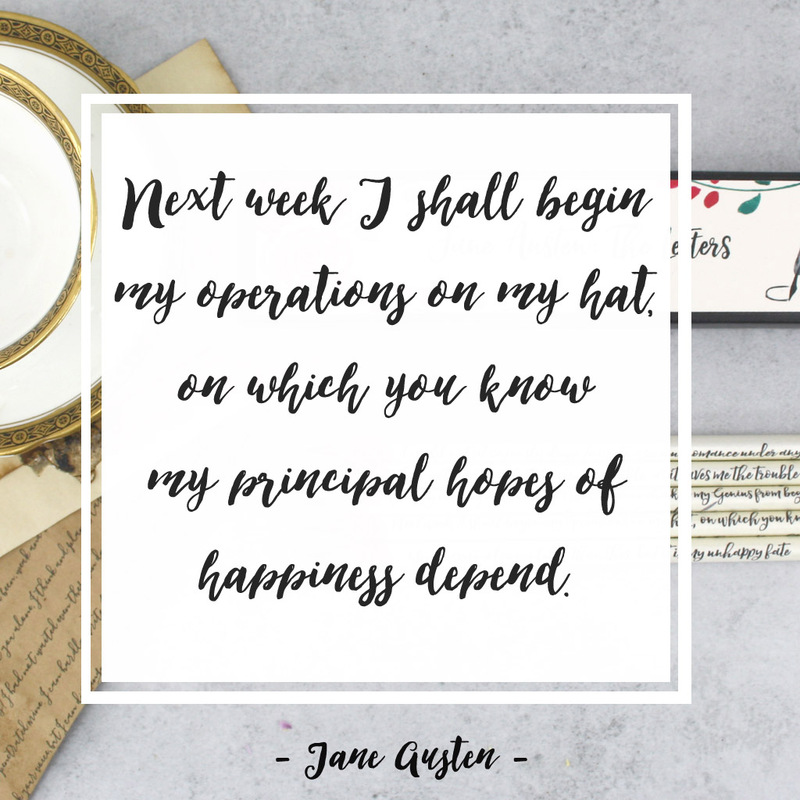 Having read (and reread) all Jane Austen’s novels so many times I needed new material! 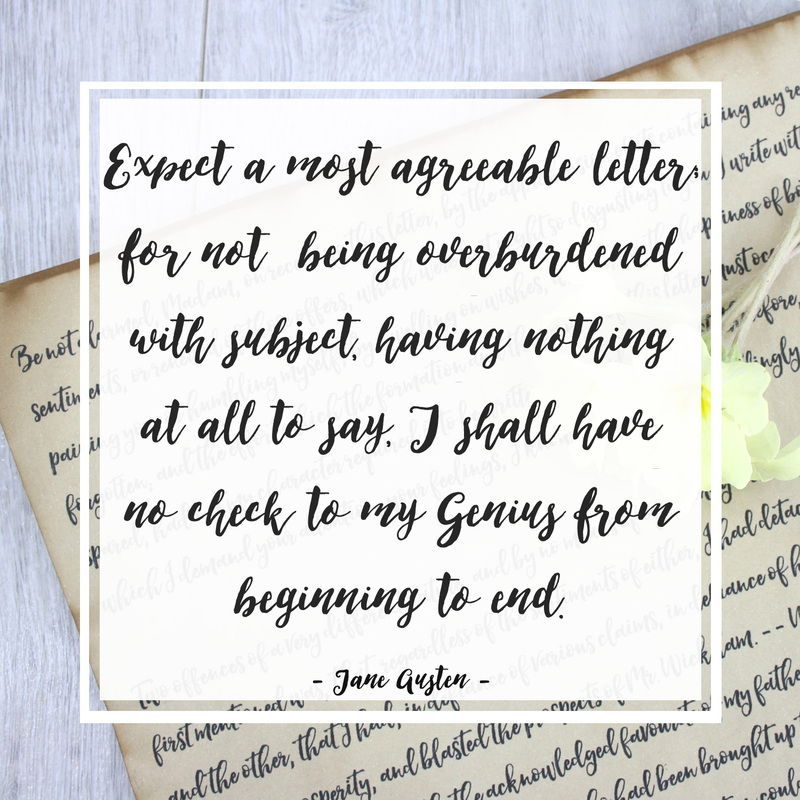 And while I was aware of her clever wit, I didn’t realise just how good it was until I started delving into her letters. 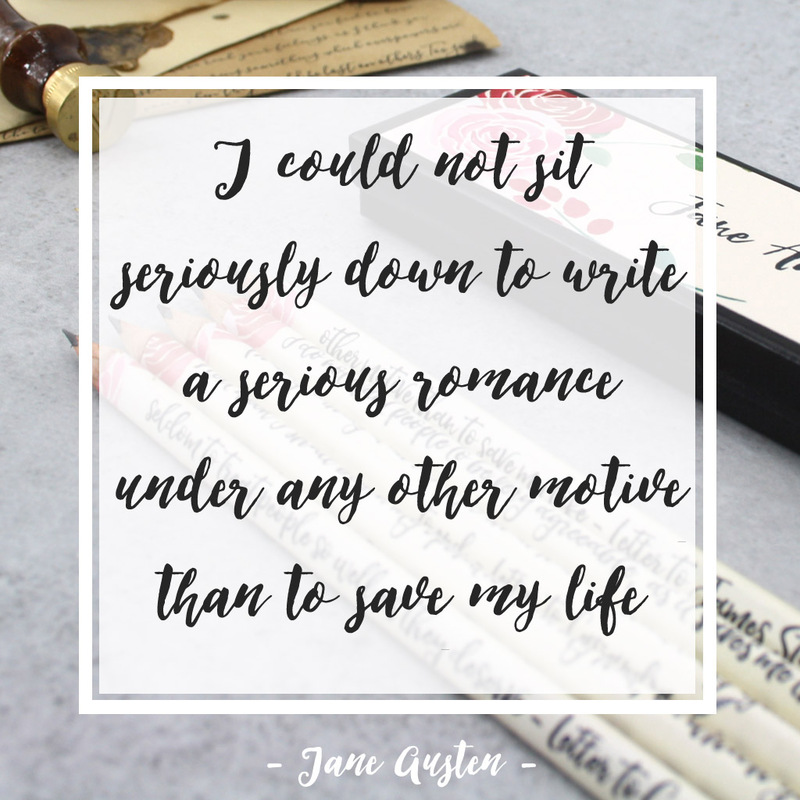 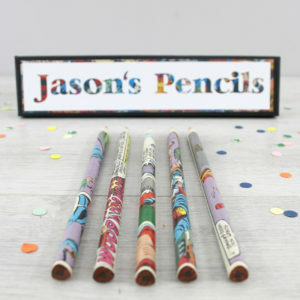 The wit and wisdom of Austen is the first in a series of pencil sets (and other new exciting products) that I will be creating using her letters. 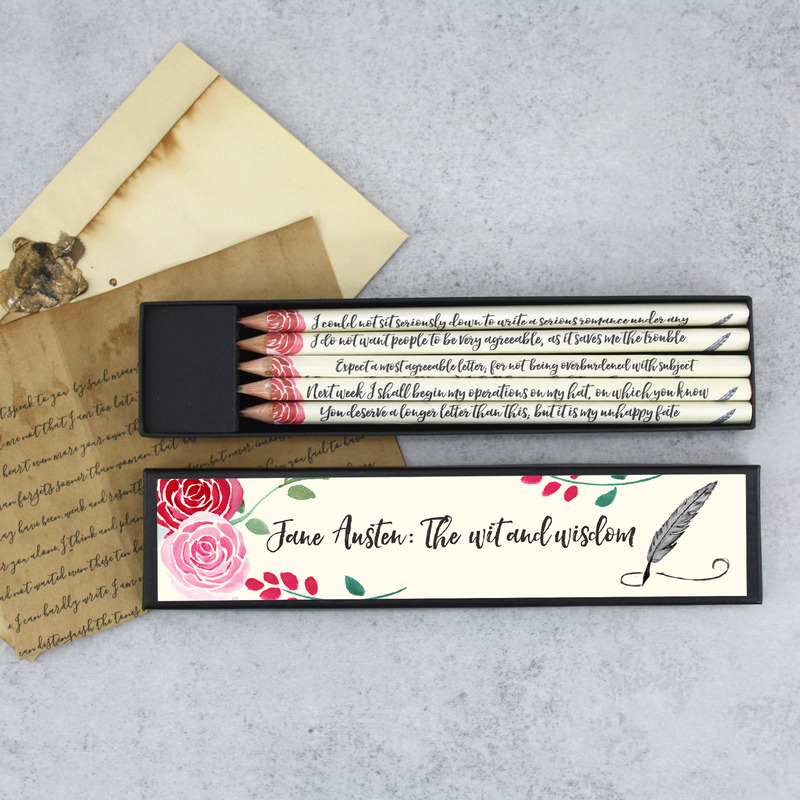 Here are the first five quotes from Austen’s letters that I have chosen for this new range of literary pencils. 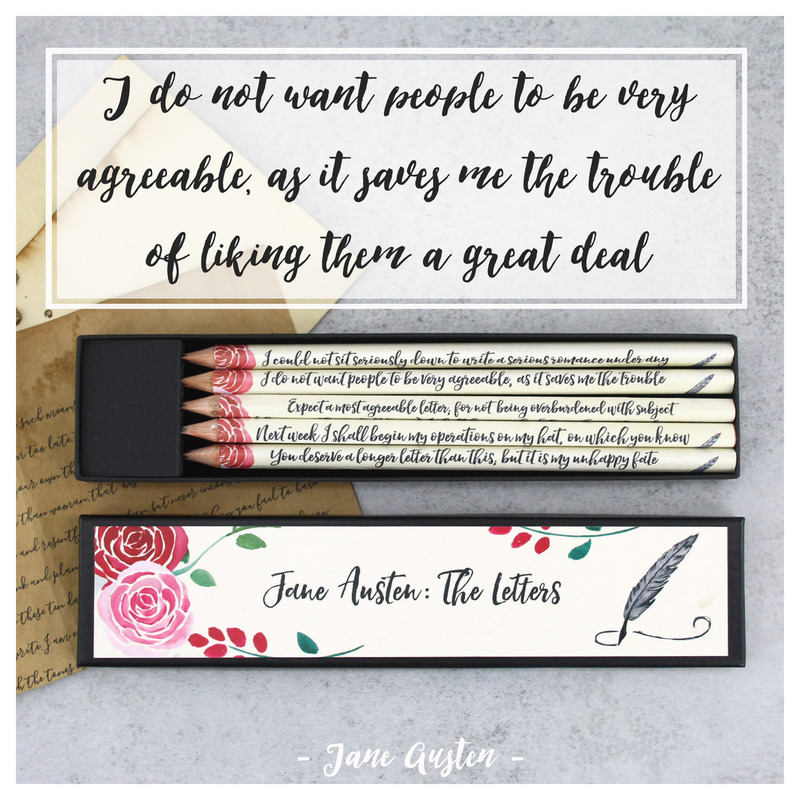 When picking the quotes I chose the five quotes that I felt best represented the dry humour and witty letter writing of Jane Austen. 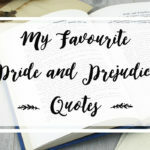 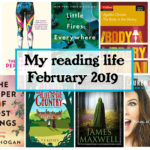 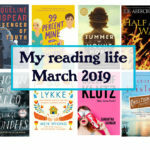 I have also started to get recommendations for more Austen biographies to read. 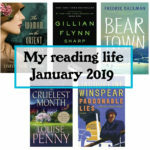 If you have any recommendations please do send them my way!